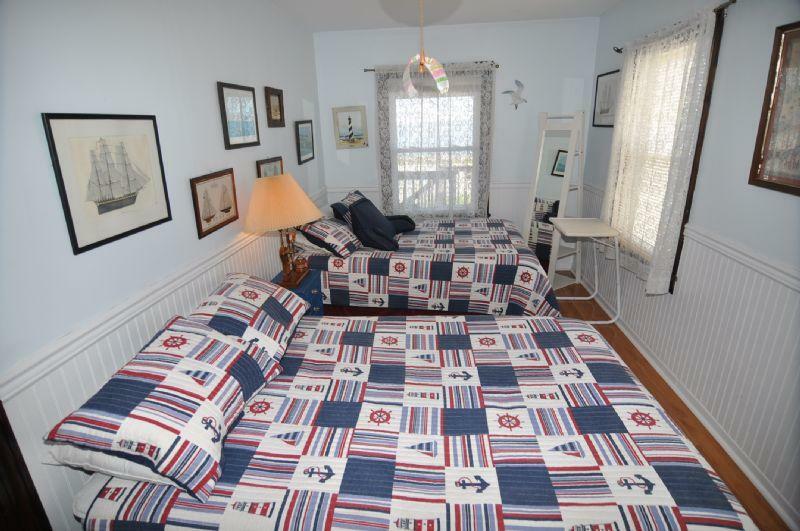 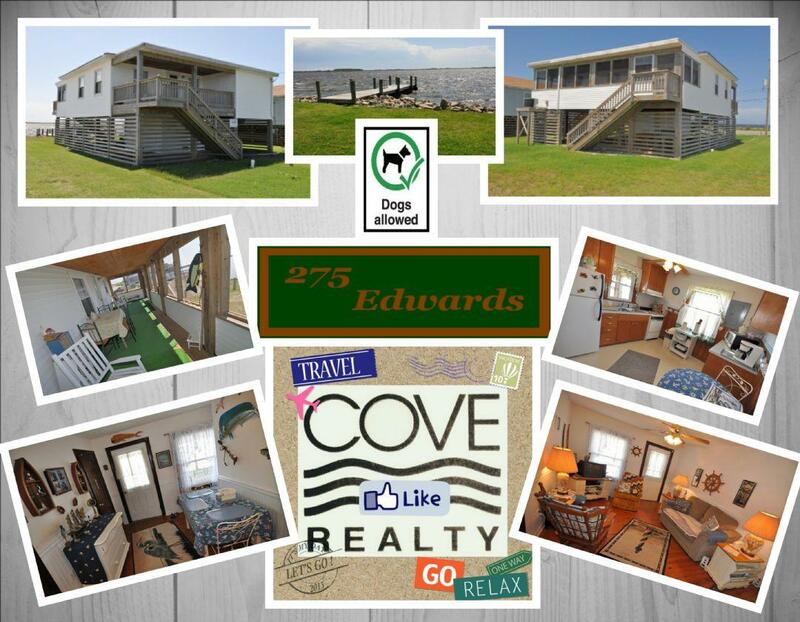 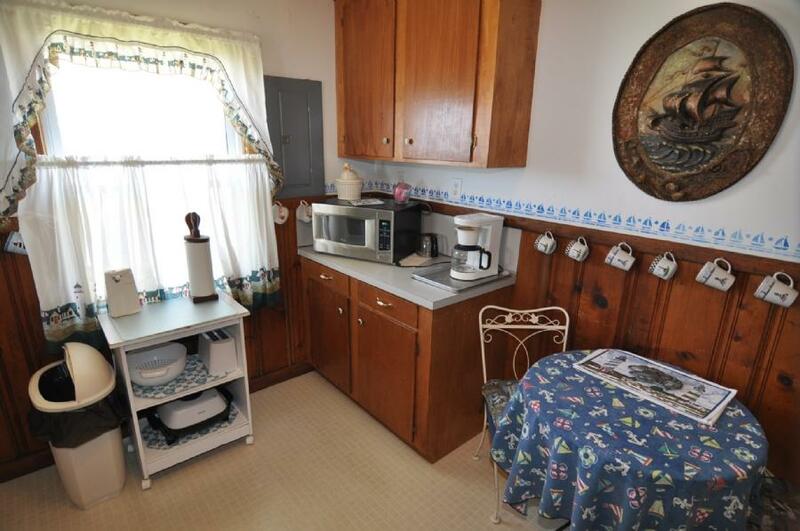 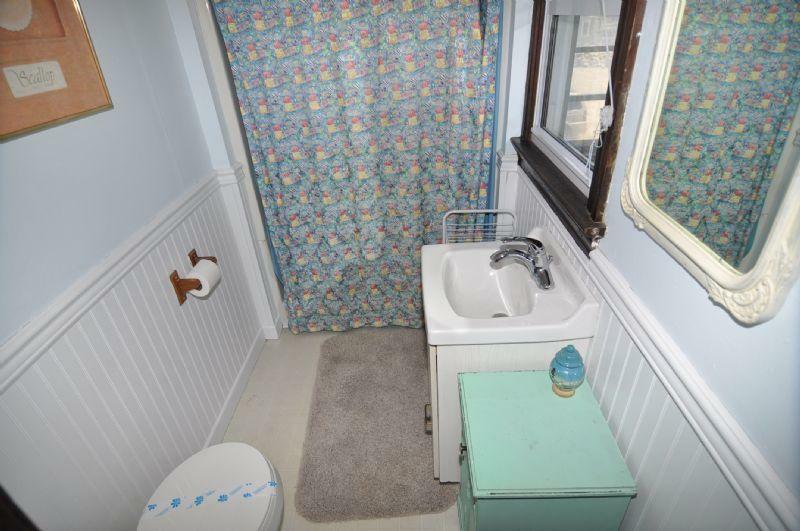 The Edwards home is a very cute and cozy two bedroom rental located on a thin section of the island, directly on the Sound (water ways between islands), while also across from another waterway! 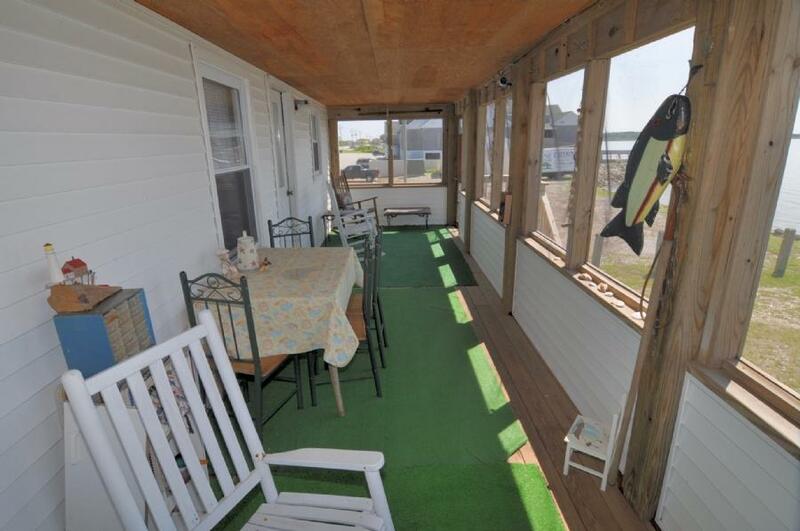 Such a location provides amazing sunrise and sunset views on either the front porch or back enclosed-deck area. 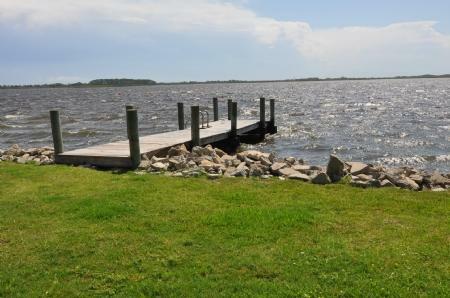 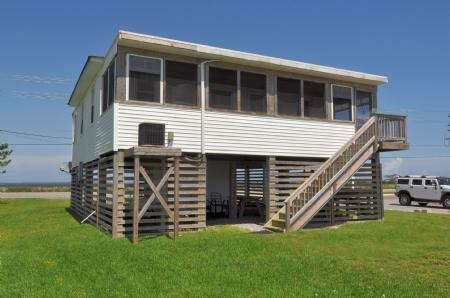 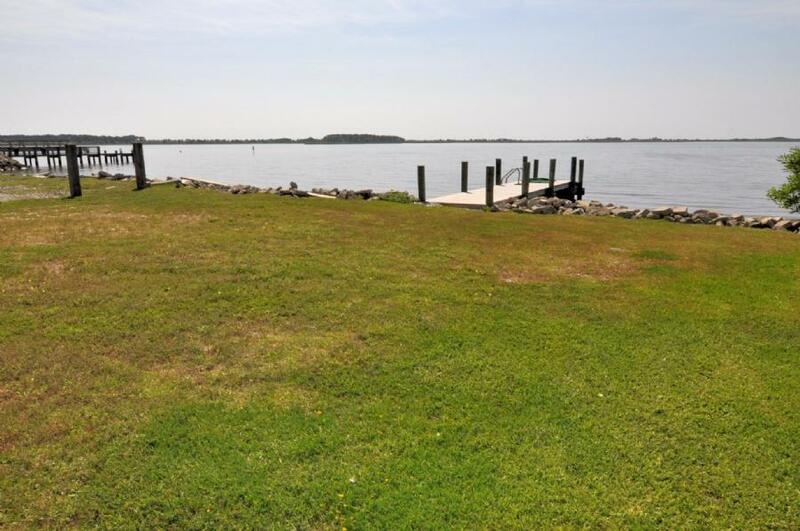 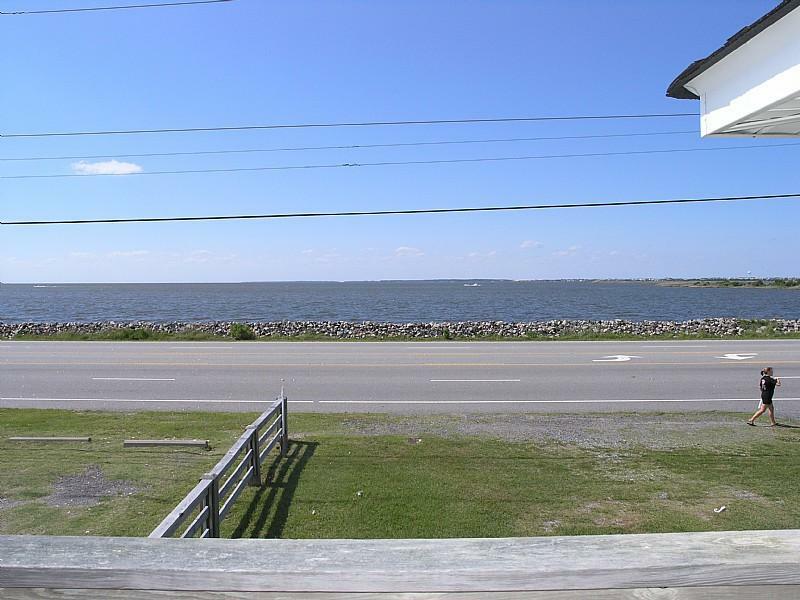 This Nags Head rental home also features a pier, allowing for fishing, crabbing, and immediate access to water sports like kayaking, paddle boarding, and wind surfing. 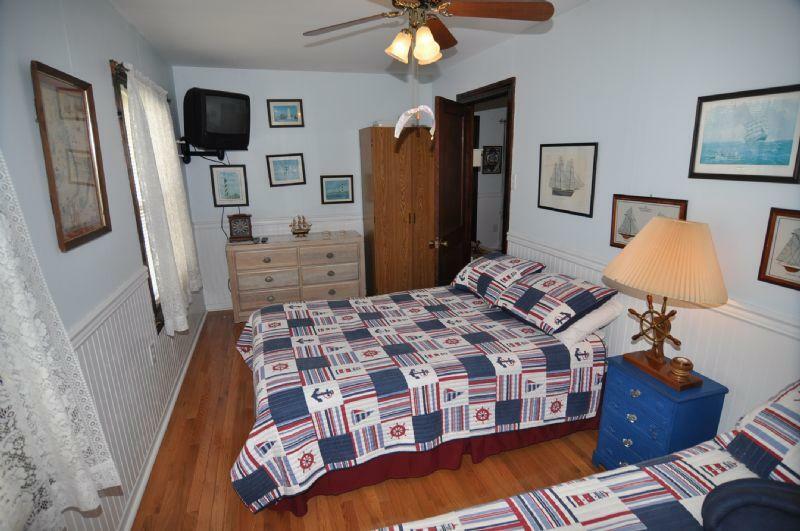 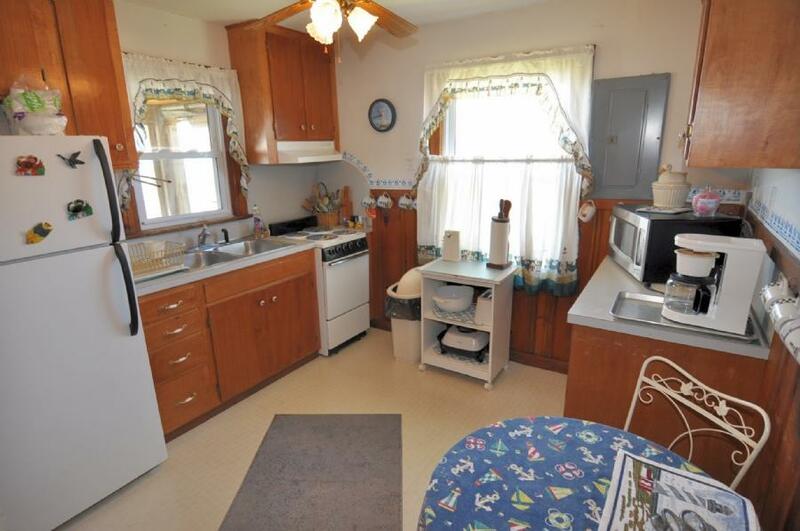 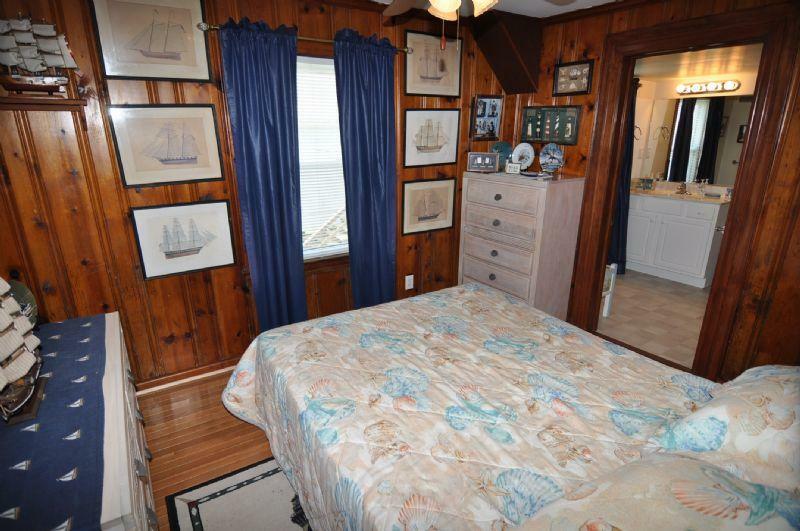 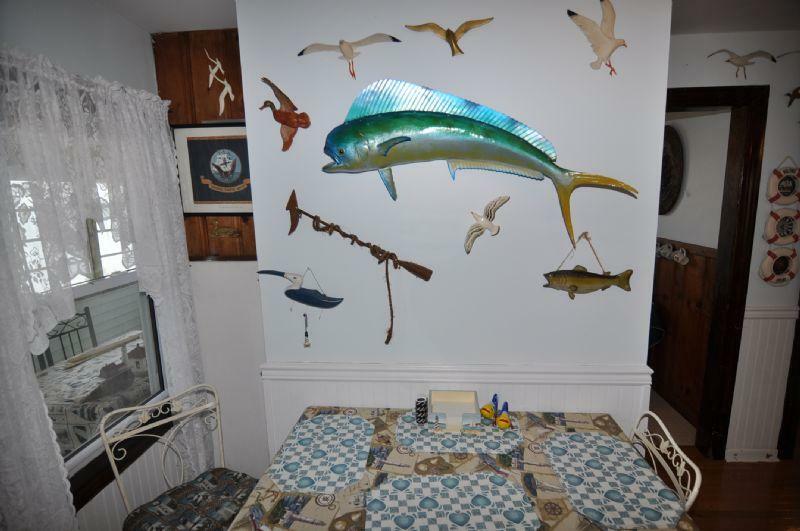 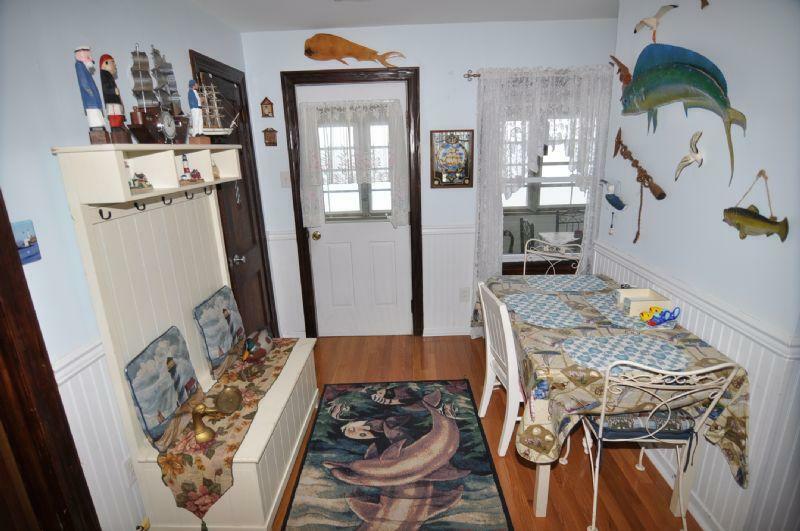 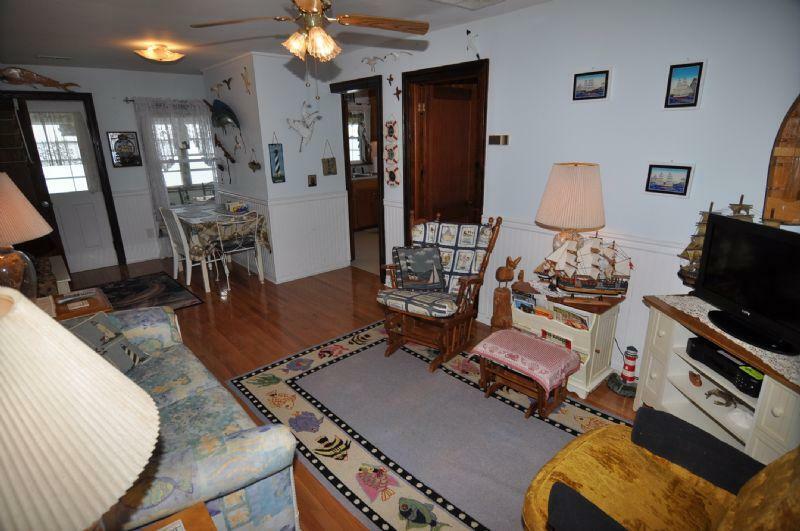 The interior of the Edwards home has a sailor's charm, featuring a wide range of ship models and fish decor. 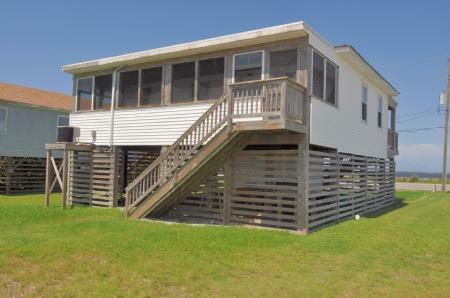 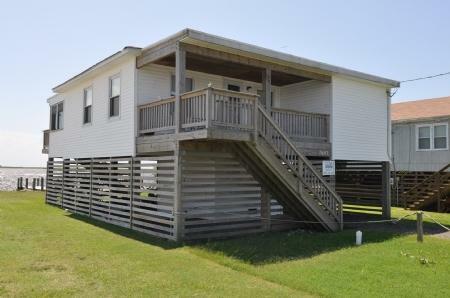 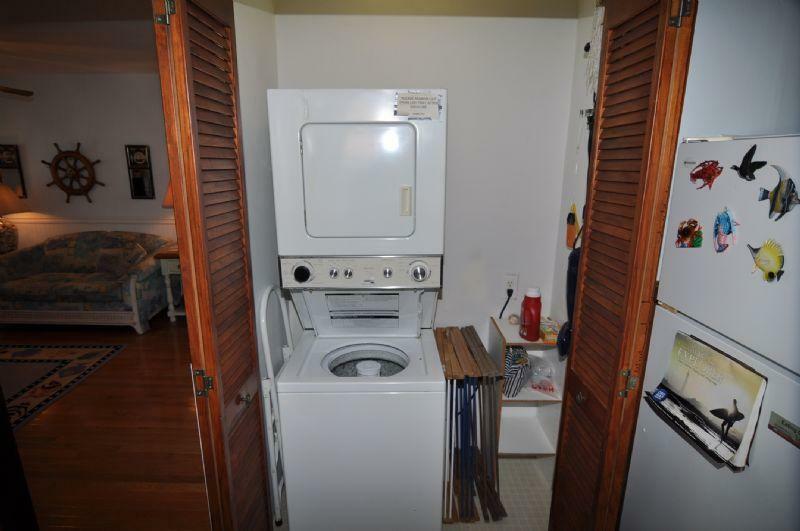 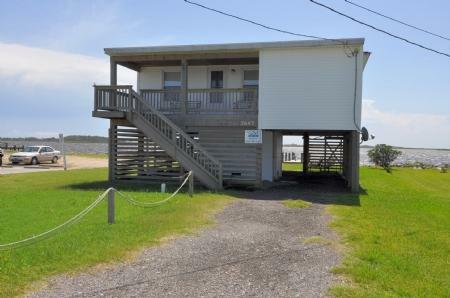 With numerous amenities, such as outside decking and an enclosed water-side porch, WiFi, laundry area, pier, and more, this home will meet the needs of any small family. 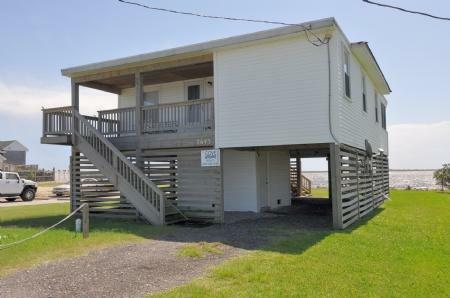 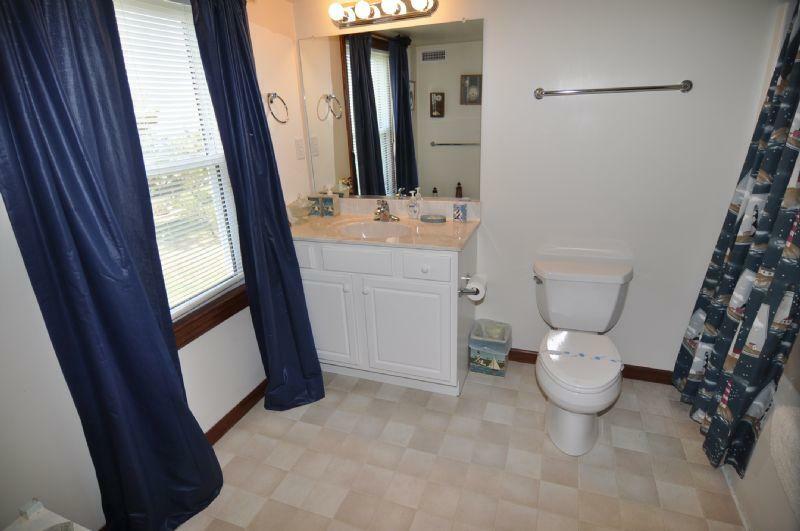 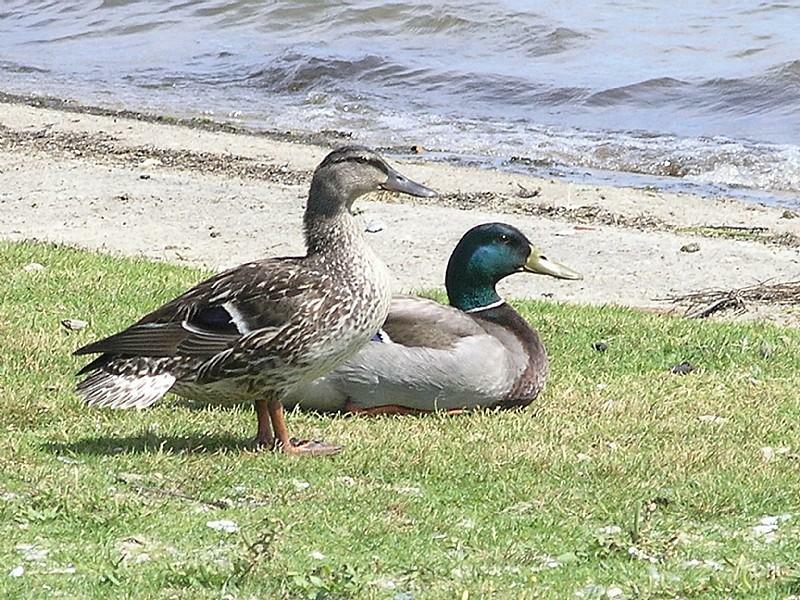 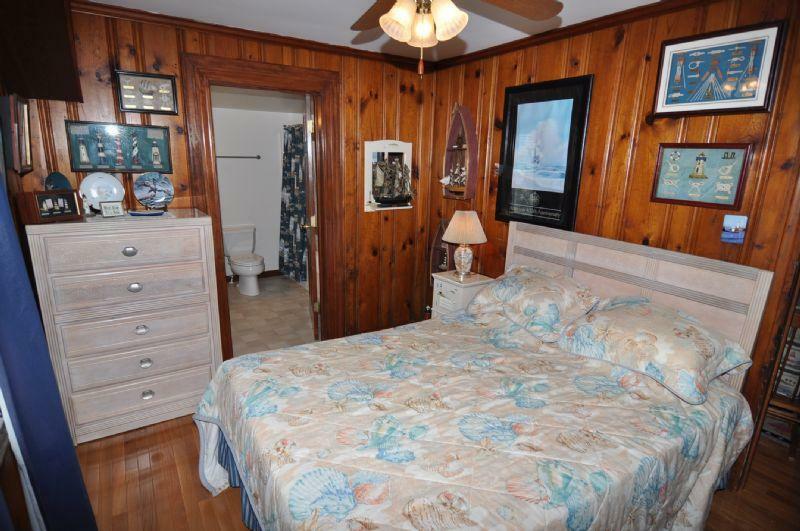 The home is also just minutes away from Jeanette's Fishing Pier and large beach and ocean access, the Tanger Outlet Mall, golf (and miniature golf), Bodie Island Lighthouse, and so much more! 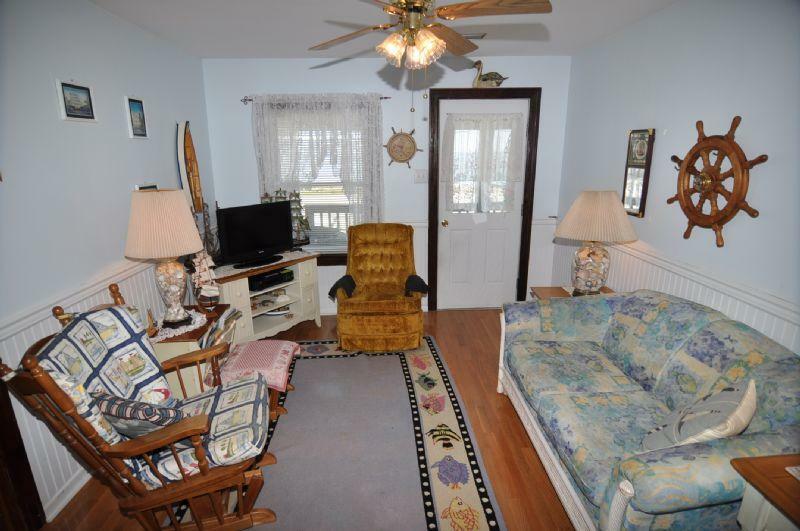 This home is also dog friendly with an additional fee, so bring you furry loved ones to enjoy a memorable vacation here on the Outer Banks!